Q: How is one student’s Chromebook identified from another student? A: All the Chromebooks are the same with some variance of color, so they look very much alike. However, each Chromebook will be tagged with a sticker with the student’s name. Additionally, asset tags will be on each device and each device has a serial number. BBCS keeps all that data, so if a Chromebook is misplaced, we can determine who it is assigned to get it back to the student user. Any ID stickers that are on the Chromebook when issued must stay on the Chromebook. No additional permanent markings of any kind (stickers, engraving, permanent ink pen, tape, etc.) shall be placed on the Chromebook or it’s carrying case at any time. While the devices are issued to students, they are still school-owned property. Additional permanent markings on the device or its case will be considered vandalism. Students can add non-permanent identifying items to the case such as ribbon, key chains or other removable items. Q: Will the Chromebooks ever leave the building? Students and parents must attend a Chromebook Orientation on August 27, 2018, or come to the school to watch the video recording of the Chromebook Orientation. Students and parents must have a current Acceptable Use Policy on file. Q: Can the devices be used at home? A: Yes, if your home has a WiFi network, the devices will have the same filtered web access as they would at school. If you don’t have a WiFi network at home, students can still use them, but in a limited capacity. Some applications will work “offline” (such as Google drive) but content saved to the device will not be backed up online until it an Internet connection is available for the device. Q: Can students download apps? A: Not unless BBCS has approved the app. Student access to the web store is limited. Q: My child forgot to charge their Chromebook before school. Now what? A: Students are expected to charge their Chromebooks nightly at home and bring them to school fully charged. If one is available, students who do not bring a charged Chromebook back to school may not be able to use it until it has a charge. They may be able to charge the Chromebook in the library during a study hall or ask their teacher if they may charge it during class. Q: What about if the building’s wireless connection is not working? A: The devices will only connect to the web wirelessly. If the school’s WiFi network is down during school, the Chromebooks will not have connectivity to the web. However, some features, such as access to the student’s Google Drive, will still work on a limited basis. The work that is done off-line will not be backed up until a wireless Internet connection is restored. Q: Can the Chromebooks be used with another username? A: No. Students and staff cannot access a school-owned Chromebook with any other login other than their school-assigned email. For example, students will not be able log in to their personal Gmail account on a school-provided Chromebook. However, if a student logs into another device with their school username (a PC laptop, a school lab computer, a loaner Chromebook, etc.) all of their information (bookmarks, emails, documents, applications, etc.) will be available to them on that device when using a Chrome browser. A: An eTextbook is a digital version of a printed textbook that you can download or access online. The eTextbook contains the same content as the print version and is organized in the same way. It typically includes the same images, graphs and charts. Q: What makes eTextbooks better? View Multimedia – eTextbooks can include videos and other multimedia content, and links to related websites, to make the learning experience richer and more engaging. Annotate Easily – You can highlight and add notes to eTextbooks without writing all over the opportunity comes. Q: Will every class have an eTextbook? A: No. Currently Bible, Science, History, and Spanish will be in the eTextbook format. English, Math, Speech, Logic, and other electives will still have a standard textbook. Q: What about workbooks or lab books? A: Only textbooks in the core subjects will be moved to e-textbooks. Lab books and workbooks will remain the same. Q: Do I need internet access at home to use the eTextbooks? A: No, You can download your textbook to personal devices and then access it anywhere. You can actually download the textbooks to up to 4 devices (2 mobile devices and 2 computers). Additionally, you can access the textbook anywhere you have your device. Q: How much space does a device need to store eTextbooks? A: The file size for each individual book ranges from about 50 to 270 MB per eTextbook. This means that for all of a student’s textbooks, no more than 2GB is necessary. Q: What if I want to reference a page in my text that has a chart or list of terms? A: You can bookmark the page in your eTextbook for easy reference or you can print up to 5 pages of your eTextbook at a time. Q: What software is needed to access eTextbooks? A: The majority of eTextbooks are accessed via the VitalSource Bookshelf app which can be downloaded for free from http://bookshelf.vitalsource.com/. Some eTextbooks are delivered as a pdf file and can be accessed by any pdf reader. Q: What devices can we use VitalSource Bookshelf on for our eTextbooks? A: Naturally, you can access your eTextbook using your school issued Chromebook. Additionally any PC, Mac (Apple), iOS device running iOS 6.0 or newer (iPad, etc.) or Android device running Android 2.2 or higher will work with Vital Source Bookshelf. This means that many 7” tablets like a NookHD, Kindle Fire or first generation Google Nexus tablets which can often be purchased for less than $100 will work. Q: What if I have a more technical question or need support for the VitalSource Bookshelf? A: Full support for the VitalSource Bookshelf can be found at http://support.vitalsource.com/. Q: Will eTextbooks work on an Amazon Kindle eReader? A: No, eTextbooks will not work on the non-Fire edition of Kindle devices; such as the Kindle Paperwhite and Kindle e-ink, but they will work on the Kindle Fire, including the Kindle Fire HD and HDX. Q: If eTextbooks are cheaper, why is the textbook fee the same? A: One eTextbook does cost less than one standard textbook, however each eTextbook has a license that can only be used for one year. This means that from year to year there is not a significant savings to the school when using eTextbooks. Q: Is this the same as a paperless school? A: No. A school that is paperless means they do EVERYTHING electronically. We are only changing the delivery method of the textbook. Q: Why does each student need an email address? A: This email will be used for school purposes. The school and teachers will use this email to communicate with students. Some students do not have email. Many change or forget their email addresses regularly and do not get communication from school. This email is connected to the student’s suite of apps from Google including their Google Drive and office apps for completing homework. Q: Who has the password to this email? A: Students will be able to set their own password. Everything that students do on their Chromebooks will be reported to BBCS. (BBCS will not share student information outside of the organization.) We will have access at all times and can lock students out as needed. We can also give parents access to their child’s account upon request. Q: What is Google Drive and why does my child need it? A: Google Drive in basically a virtual hard drive. It is a place to store data. No longer will students need thumb drives or other memory cards to save their paper or other homework. Everything for school can be stored on their Google Drive. Each student will have 15 GB of data storage for free. Q: Will students have access to internet while at school? A: Yes. A new wireless network will be set up for students and guests. This network will be heavily filtered. Not only will inappropriate sites be blocked, but we will also block popular social networking and video sites such as Facebook and YouTube. As we monitor the network and traffic, other sites that are regularly accessed and deemed non-educational will be added to the blocked list. This filtering will work not only at school, but also anywhere the student uses their school issued Chromebook to access the internet. Q: What happens if the device is damaged or lost? Students and parents will be responsible for school-owned technology property that is issued to them. Under the Chromebook Insurance Policy, the Chromebooks are protected against accidental damage (drops, cracked screens, liquid spills), liquid submersion, theft, fire or flood, vandalism, natural disasters, and power surges due to lightning. This insurance policy may not cover loss of the Chromebook and/or its accessories or damages caused by intentional misuse and abuse. 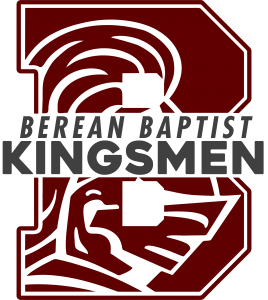 Berean Baptist Christian School will assess the Chromebook damage and repair or replace the device if the damage is determined to be accidental and within these protection guidelines. Parents/Students may be charged the full replacement cost of a device that has been lost or the full repair cost of a device that has been damaged due to intentional misuse or abuse. The insurance cost is $50.00 annually for each Chromebook with a maximum of $100.00 annually per family. There is no deductible charged on any claim. However, BBCS reserves the right to deny any student the privilege of using a school issued device as a result of multiple claims or intentional misuse or abuse.